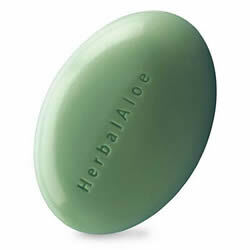 Nourish and Moisturise skin with a body bar made from whole-leaf aloe, vitamins A and E, grapeseed and olive oils. Gently cleanse skin and retain its natural moisture without stripping necessary oils from the skin. A combination of aloe vera, plant oils and vitamins A and E cleanse and nourish skin. Safe and gentle for the whole family. Use daily to cleanse body, hands and face. Combine with other Herbal Aloe products for maximum benefits.